Standard Travel Caps Standard Travel Caps: 3-Pack Seals Dr. Brown's baby bottles for travel and storage of formula or breastmilk. 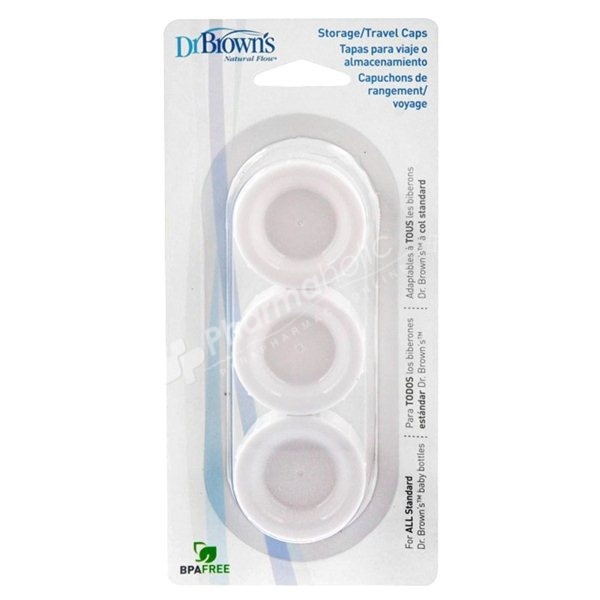 Three replacement Storage/Travel Caps for use with ALL Standard Dr. Brown's Natural Flow baby bottles. These solid caps securely seal bottles for travel or storage. All components of the Dr.Brown's natural flow baby bottle are top-rack, dishwasher safe. Wash all parts prior to use.